Looking for where to stay in Montreal with kids? I love Montreal! So much so that I really wish I lived there! Beautiful architecture, wonderful food, rich history, and an abundance of green space are just a few of the reasons Montreal has my heart. Fortunately, even though Montreal is a large city, the majority of the attractions are in condensed areas. That makes picking an area to stay in Montreal with kids easy! 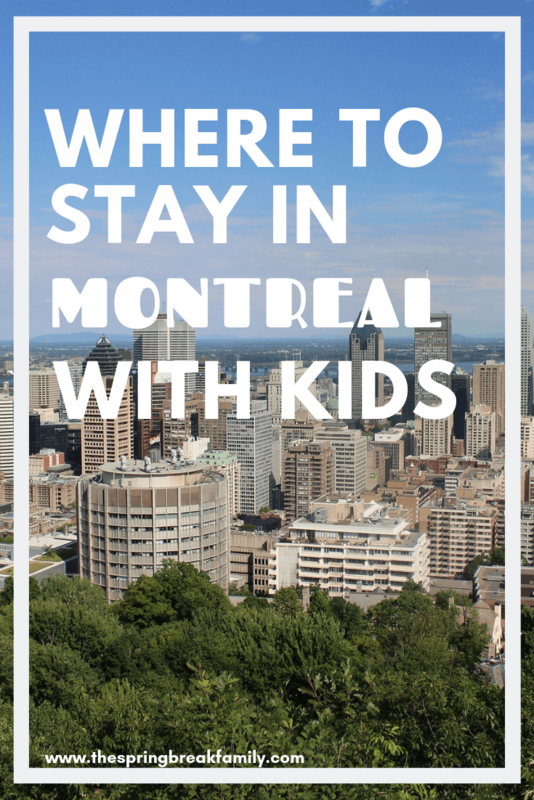 Here is a list of where to stay in Montreal with kids! This is my favorite area when considering where to stay in Montreal with kids. Many of the tourism sites in Montreal are located within Old Montreal [or as the cool Québécois say — Vieux-Montréal] so you’ll be dead set in the middle of the action. La Grand Roue de Montreal, MTL Zipline, the Montreal Science Center and so much more are in this area. If any of those attractions on your must do list, then this is the area for you! You really can’t beat the location of this hotel! Located right in Jackson Square, Hotel Place D’Armes is right in the heart of Old Montreal. Families will have plenty of space in one of their junior suites and their luxurious touches throughout the hotel are sure to please. This all suite hotel located in Old Montreal is a perfect option for families. Each room has a full sized kitchen and they offer up to 2-bedroom suites. Reviews rave about the location and available eateries in the area. 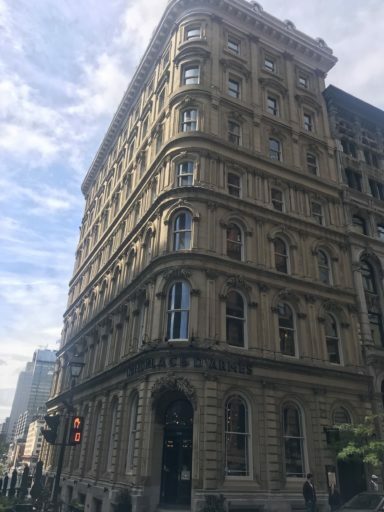 Le Saint-Suplice Hotel Montreal is located directly behind the Montreal Notre Dame and right smack dab in the middle of the action of Old Montreal. 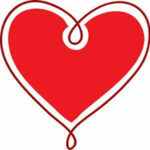 All its hotel rooms are suites and are equipped with kitchenettes making it a perfect family friendly hotel in Montreal. Downtown Montreal is fairly close to Old Montreal but has a charm all its own! 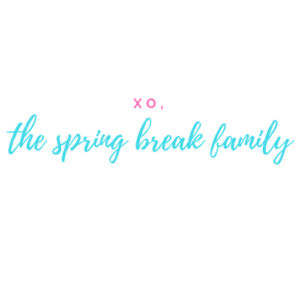 There’s tons to do in the area from restaurants, shopping, theaters, and so much more making it an awesome area to stay with kids. Depending on where you stay in downtown, many of the city’s attractions will be a short bus or Uber ride away. It’s only fair to note that downtown Montreal is also the prime spot for nightclubs, bars, and other late night stops but it is still a great option for staying in Montreal with kids! The AC Hotel by Marriott is right on the edge of downtown and Old Montreal so it is in an absolutely perfect location. In fact, when we return to Montreal, this is exactly where we will be staying. They only offer standard hotel rooms [one king or two queen beds] so it is most suitable for families of four or smaller. 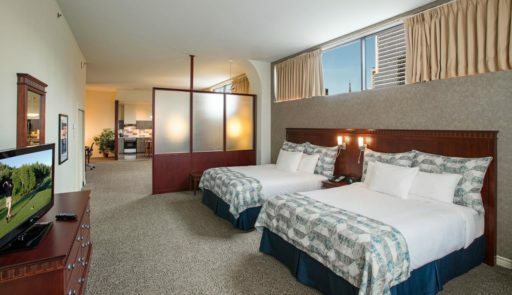 However, if your family can fit, this family friendly hotel in Montreal is only steps away from all the wonderful things downtown Montreal, Chinatown, and Old Montreal have to offer. Families love the extra large rooms in this all suite hotel. Each room also comes equipped with a full sized kitchen with a dining table, stovetop, and dishwasher. Some even offer 1 and a half bath – yep that’s an extra half bath for the kids to give you a little peace during the morning-time routine. It has all the perks of an apartment with the convenience of a hotel. Want to stay in a hipster, modern area of Montreal with more of a local feel? Then Mile End is where to stay in Montreal with kids. Most of the typical Montreal tourist attractions will be a bus, train, or Uber ride away but you will feel like a true Québécois in this part of town. The historic bagel shops St. Viateur and Fairmont are located in the area along with plenty other restaurants, parks, markets, and more. As this is more of a residential area, the majority of the lodging options here are apartments. Luckily, there are quite a few great apartment options in the area. 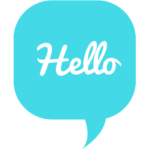 You can do a full search of family friendly apartments in Montreal here. 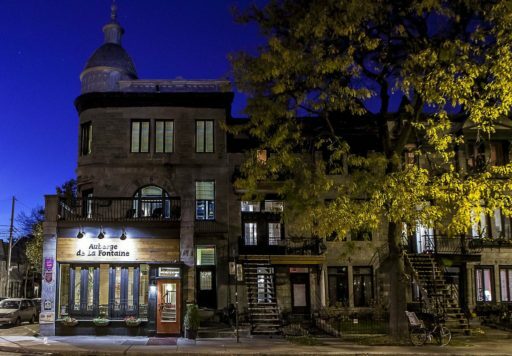 Le Plateau Mont Royal is a perfect blend of a local feel with tourist convenience. Located near Mont Royal, this area is filled with parks, universities, shopping, restaurants, and so much more. Most of the attractions you want to see in Montreal will require some sort of transit but plenty of options are nearby to get you where you want to go. As a bonus, this area of Montreal is filled with plenty of family friendly hotels. Hotel de I’Ithq is one of the most family friendly hotels in Plateau Mont Royal. 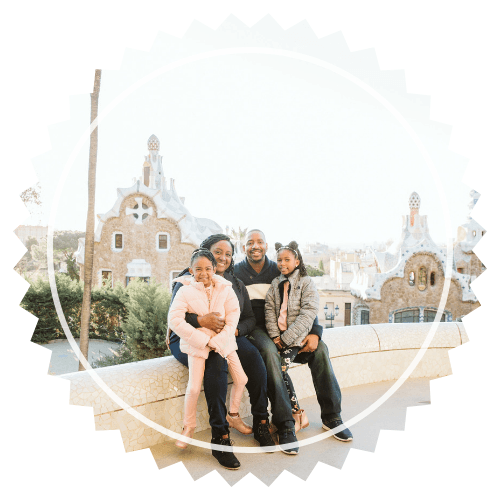 While their rooms are traditionally sized, they offer many family friendly perks like breakfast on site, spacious rooms, and daily housekeeping. This wonderful hotel offers a uniquely Montreal experience. Auberge de La Fontaine is actually located within a brick house. [Not The Commodores style brick house — an actual stone house]. It’s directly across the street from Parc LaFontaine [the third largest park in the city] and offers a breakfast buffet. It’s old world charm combined with its perfect location makes it a fabulous family friendly hotel in Montreal. Have you been to Montreal? Do you have any recommendations for a family friendly hotel in Montreal?